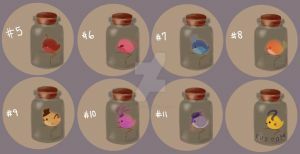 A species sheet for my closed species, Bottle Birdies! I would love to have one, may i ask if you do owls? !____! I can't believe I'm seeing customs here.